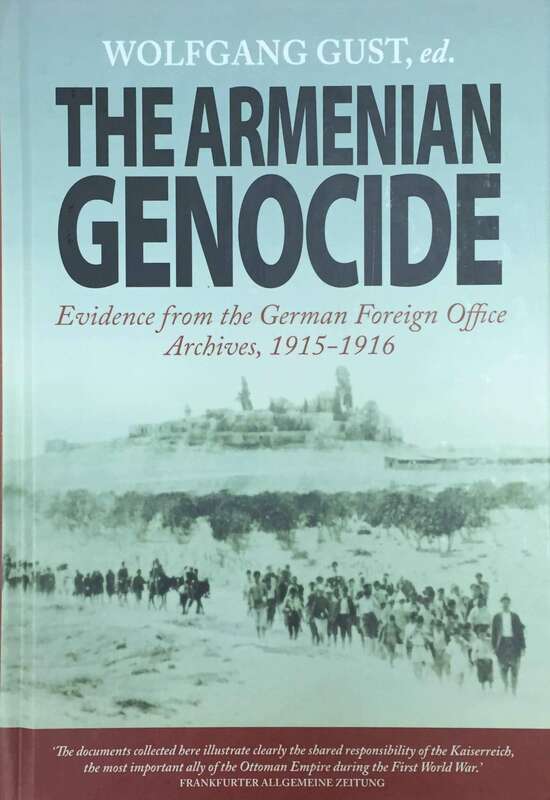 One of the Institute's most groundbreaking achievements to date is supporting the editing, translation, and publication, in addition to financial sponsorship, of the book, "The Armenian Genocide: Evidence from the German Foreign Office Archives, 1915-1916." Wolfgang Gust, through his tireless efforts, painstakingly collected, restored, and published documents from the German Foreign Office Archive with the assistance of his wife, Ingrid Gust. This extensive selection contains some 218 telegrams, letters and reports from German consular officials in the Ottoman Empire to the Foreign Office in Berlin describing the unfolding genocide of the Armenians. The material is unimpeachable by those who would deny the Armenian Genocide, as it is from Turkey's own wartime ally. It provides researchers with a deeper understanding of the actions and the motives of the perpetrators of the Armenian Genocide. The German edition of the book played a major role in the German Parliament's recognition of the Armenian Genocide on June 2, 2016. In fact, the Co-Chair of the Green Alliance Party, Cem Ozdemir, stated in a recent visit to the Institute in 2017: "Wolfgang Gust's work and that of the Zoryan Institute was very crucial, because it was the first time that we saw the documents of the German Foreign Ministry, and these documents are probably the best saved archive in the world on the Armenian Genocide." The Institute's staff assisted with the publishing of the book in German (2005) and Turkish (2012) and the translation, editing and publication of the book in English (2014).